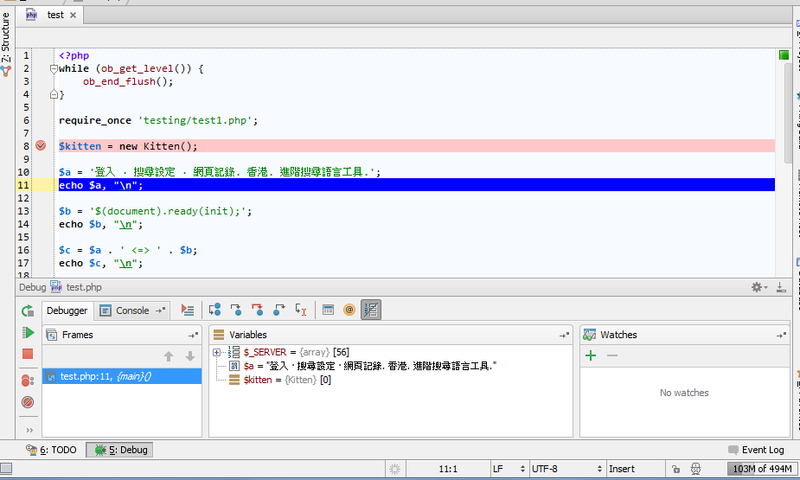 What is the settting for display utf8 character on debugger? I saw only square box for variable that supposed to show Chinese characters. 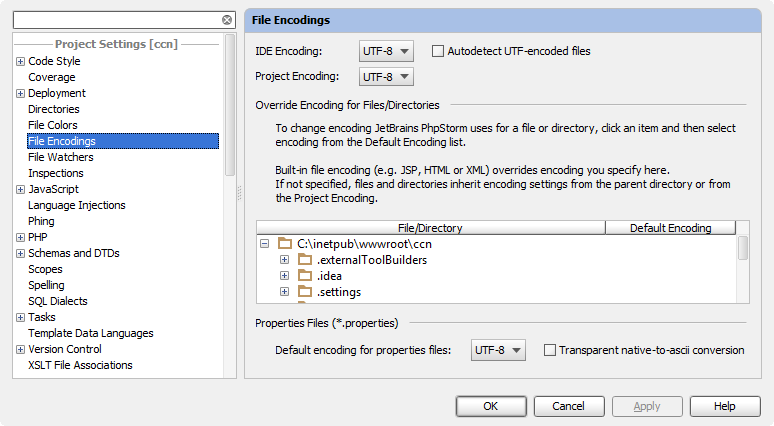 I'm not sure about this .. but check what you have at "Settings | File Encodings | IDE Encoding" -- set it to UTF-8 if different (restart of PhpStorm most likely will be required as well). I'm on Windows 7 x64 SP1 ENG. Chinese text was taken from footer of some website. I must miss something. Here is my setting. My system: Win 7 X64 SP1 Eng. TBH -- don't know why it does not work for you -- must be some system settings. BTW -- is output in Console tab is fine ..or it is squares/garbage as well? 3) Java/System default locale/codepage? Unfortunately I do not know how to force specific one for Java (that's in case if yours is not English at all; mine is UK English) and if it will matter at all in this particular instance. 4) Outdated xdebug? 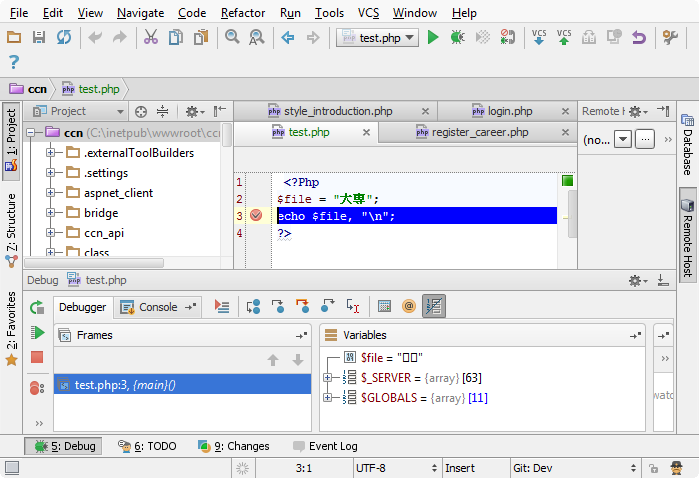 Currently I'm using latest 2.2.2 (on Windows; PHP 5.4.14; IIS 7.5). You may collect debugger logs (both from PhpStorm side as well as xdebug side) and see what they are transmitting -- at least you should be able to see if the issue is on xdebug/remote side or PhpStorm own bug. Other than that -- no real ideas. Maybe worth submitting a ticket directly to the Issue Tracker -- devs should know better what else may affect this. Thanks! Solve the problem by changing IDE font used for GUI part. What font do you use for GUI part? Don't know -- default one. Maybe it depends on Theme used (previously known as "Look and Feel")? I'm using "Windows"
I modified Theme from "Alloy. IDEA Theme" to "window". It works (My previous fix is choose Chinese fonts).